Even if you don't know exactly what agronomy is, you live with it every day! The science of agronomy brings the research of plants and soils together into one field. Soil is the substance that plants grow in (you might know it as dirt!) Scientists who study agronomy are called agronomists. Agronomists are interested in learning about soils and the plants that live in them so that we will have food to eat as well as a clean environment that will last forever. From the milk you drink to the vegetables you eat, from the ethanol-based gas in your car to the grains used to feed chicken and cattle, and from the grass on the soccer field to the natural fibers of the clothing you wear and the medicines you consume, all are products of agronomy. Agronomy Feeds the World! Humanity Against Hunger – The Challenge Awaits You – Play The Game! Students take a virtual journey to Africa, in which they become a volunteer to help end the famine caused by soil nutrient depletion. Developed by the Nutrients for Life foundation. 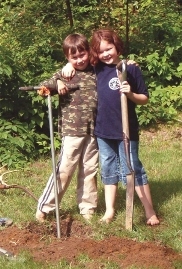 Soils 4 Kids – Don’t let the kid’s name fool you – there’s lots of information on soils and experiments. Perhaps you’d even like to organize a Food Drive – learn how here! Careers – If you have a natural curiosity and enthusiasm for science to help solve some of the toughest problems facing humanity and want to be part of the efforts to increase the supply of high-quality food, feed, fiber, fuel and even pharmaceuticals while protecting and preserving the environment – agronomy may be the career for you! Teen Scene - USDA Agriculture in the Classroom - Check out the plastic food diaries, what Ashley has to say about Ag Science in the City, How to do a Science Fair Project, watch a career movie, discover more about the Science of Life ... and all sorts of other cool features in the Teen Scene. Phyllotaxis and Fibonacci - Fibonacci was a mathematician who found an explanation for patterns in nature. 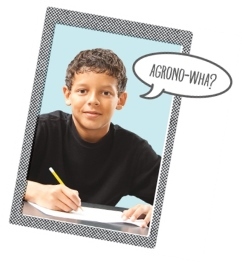 This lesson plan explores Fibonacci's sequence by investigating spiral structures in plants. Plant Evolution Word Search - Study up on your vocabulary while completing this fun word search from American Society of Plant Biologists. Want to grow your own fruit/vegetables? We have seeds available for you! Just contact us at membership@sciencesocieties.org with your name and address and the number of packets you would like (be sure to get your parents' permission). Don't worry, we don't put your name in any database or use it to contact you after sending the seeds. Note to teachers - if you are interested in larger quantities, please feel free to contact us as well.